Guys. GUYS. I am so so PUMPED about 2017. It will be my first time being in Windsor during the summer in 5 years and I have a lineup of gorgeous weddings for this summer including the wedding of Emily & Kelly this July. When I first met with Emily to talk about her wedding I knew we were a match. I just love this girl and so when I finally got to meet her fiance Kelly for their engagement session I had all the heart eyes the entire time. I love these two and I love them together and I LOVE their engagement session. We drove out to Point Pelee for their shoot with a vision and tons of stuff in tow. Emily and I put our heads together and came up with a clear vision of what she wanted and I have to say, I am so so happy with how everything turned out! First of all, how talented is she? 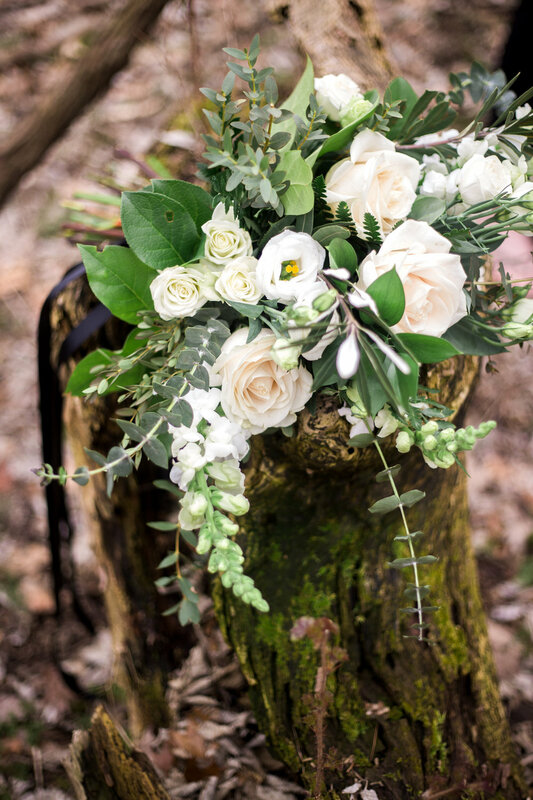 Emily is the owner and talented creative behind Emily Elizabeth Floral Design and created the gorgeous florals for this shoot (and will be doing florals for her own wedding - like, freaking superwoman). The amazing (and delicious) artisan cheese platter is from The Cheese Bar and the drinks (Canadian Maple Brew - um, yum) were provided by BREW Microbrewery. We started our shoot with some portraits in the woods - chandelier hanging and all. After we finished shooting in the woods, we walked down to the beach for a picnic where we actually got to enjoy the delicious cheese platter and Maple beer! I had such a blast during their engagement shoot and I can not wait until their wedding!